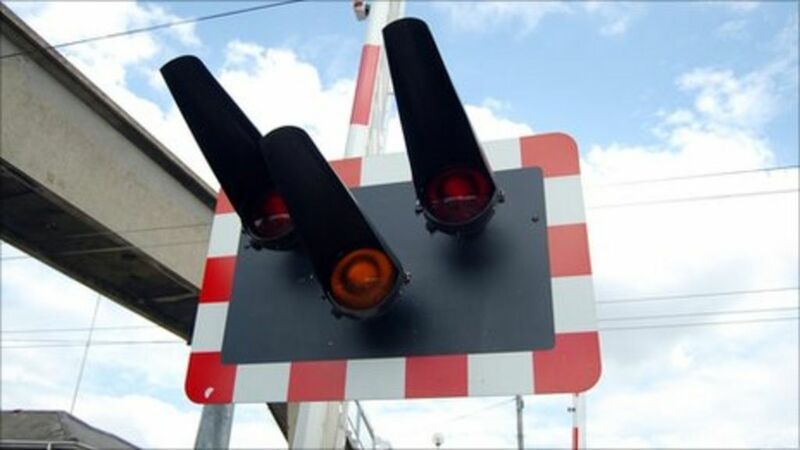 Barriers should be fitted to more than half of Scotland's open level crossings, the railway regulator claims. The track disappears away to infinity (well actually St Combs), as seen from the rear of the 2.40 pm train to Fraserburgh at Cairnbulg on Saturday 1st May 1965, the last day of service. To the left of the open crossing is Inverallochy primary school with what appears to be a member of staff keeping an eye on proceedings. Maintenance and testing of warning lights and audible alarm being carried out at Bridge Street open level crossing, Halkirk, on 28 August 2007. View is northeast towards Georgemas Junction over the site of the former Halkirk station (closed 1960) which stood just beyond the crossing. Three occupants of a car tragically died as a result of a collision with a train on this crossing in September 2009. A sprinter at the main level crossing at Dingwall. The crossing is ungated and there have, unfortunately, been some meetings of trains and cars.